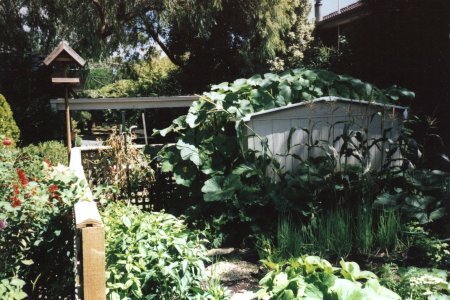 Every year, after battling the weeds through another summer, I promise myself I wont bother with a veggie patch next season. Then Spring arrives and I find myself unable to resist the call to put spade to soil and cast my luck yet again. The rewards are so much greater than the effort. The sweet taste of home grown tomatoes, still warm from the sun, is something the folk who think it all too much trouble will never know. Yes, they are cheap in the shops at the same time as our crop is coming into its own but the taste of those red "cricket ball" imposters can never compare to the real thing.